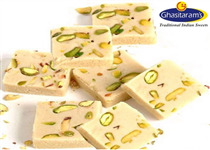 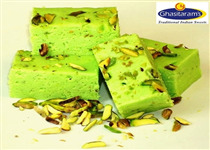 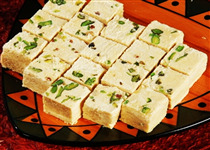 Milk,Sugarfree Sugar and pista flavour cooked to perfection to make your favourite Pista Mawa Barfi. 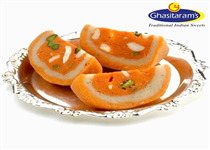 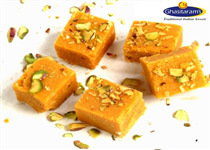 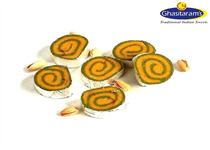 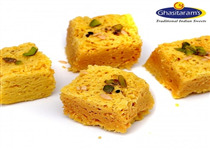 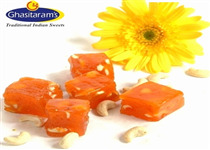 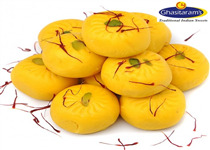 Keshar Kaju Katli from Punjabi Ghasitarm Halwai has a flavor and color of saffron. 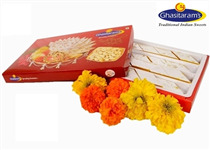 This diamond shaped sweet is extensively gifted during festivals and religious ceremonies. 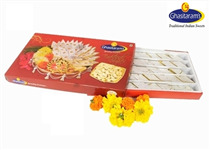 A beautiful Red box decorated with traditional lace containing Sugarfree Anjeer Barfi. 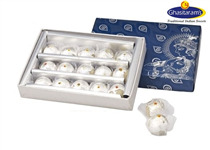 A beautiful box decorated with lace & Stone containing Pure Kaju Pista Moon and Kaju Anjir Moon . 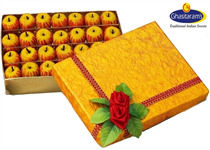 A beautiful box decorated with traditional lace and stone containing Dryfruit Kaju Apple . 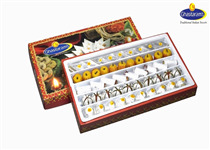 A beautiful box decorated with traditional lace and stone containing Dryfruit Mix Sweets . 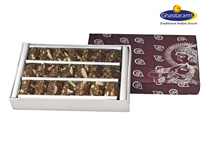 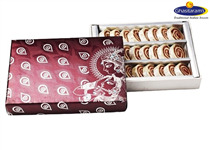 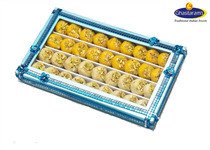 A beautiful Gift box decorated with stone containing Pure Kaju Katlis & Dryfruit Kaju Pista Roll . 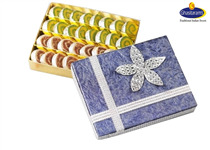 A beautiful box decorated with traditional lace and stones containing , Kaju Bon Bon . 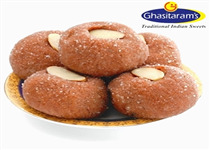 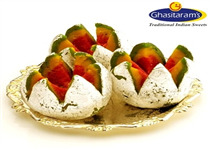 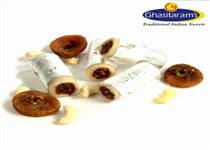 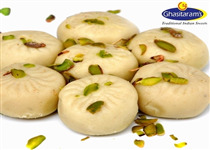 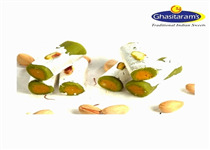 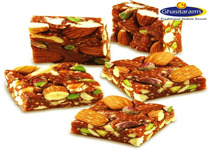 Milk, Sugar and Dryfruits cooked to perfection and then browned and rounded and rolled in powdered sugar. 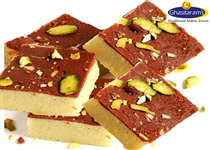 Milk Sugar And Chocolate powder cooked to make your favourite Two Layered Chocolate Bafri. 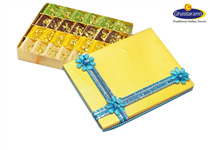 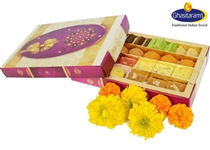 A beautiful Gift box containing Mix Mawa Barfis & Besan Laddoo & Halwa & Soan Papdi . 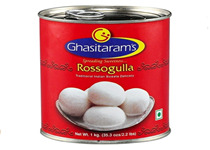 Bengali Speciality made from cows milk cafein, sugar with no artificial preservatives used.Hygenically tinned packed to remain in contact good condition for 10 months from the date of manufacture.net weight:1kg. 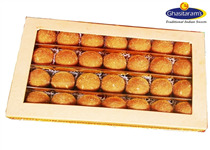 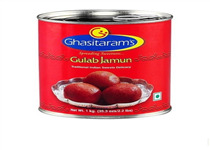 Bengali Speciality made from cows milk cafein, sugar and clarified butter, with no artificial preservatives used.Hygenically tinned packed to remain in contact good condition for 10 months from the date of manufacture.net weight:1kg.